Tech Terrace is a unique community directly across 19th Street, South of Texas Tech Campus, with a large number of diverse rental homes. Many of the homes in Tech Terrace have a room to rent or small apartments located on the side or back of the main home. In some cases the whole house is available. 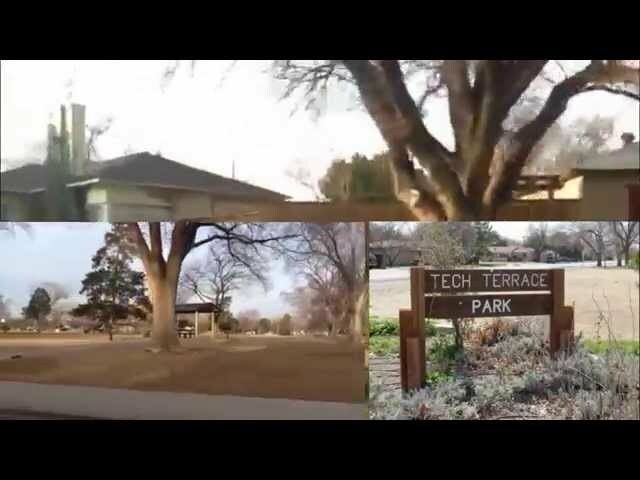 The community consist of Tech Students, homeowners and has a small community feel to it. Being roughly 1 square mile in size, this is a fairly large community. In the center you can find the Tech Terrace Park which has a half mile track around the edge making it great for a little jog. There are also small shopping centers in the community which include a grocery store and restaurants. If you see the name Tech Terrace UNIT, this is the same place. UNIT stands for the streets which bound the community; University, Nineteenth, Indiana, and Thirty-fourth. If you want to be technical, Tech Terrace is made up of the following neighborhoods; the namesake one, Delmar, University Place, College View, Forrest Heights, Green Acres, Phillips, Westridge, Webb, Ellwood Place, Simmons, and Ellwood Place.